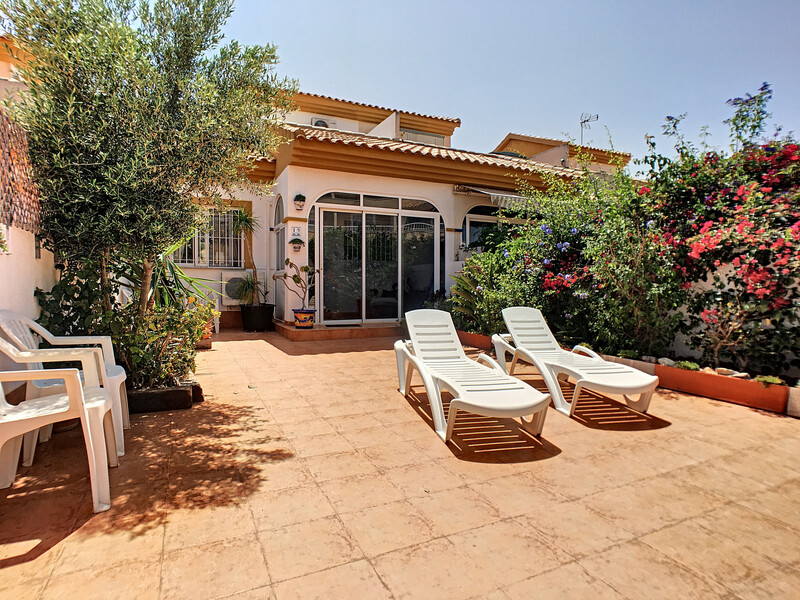 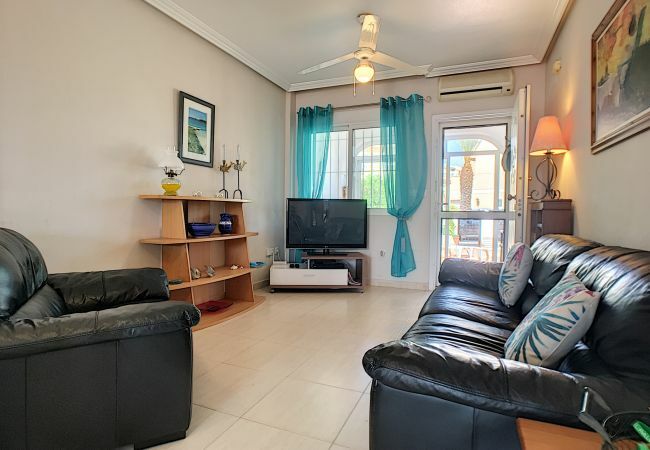 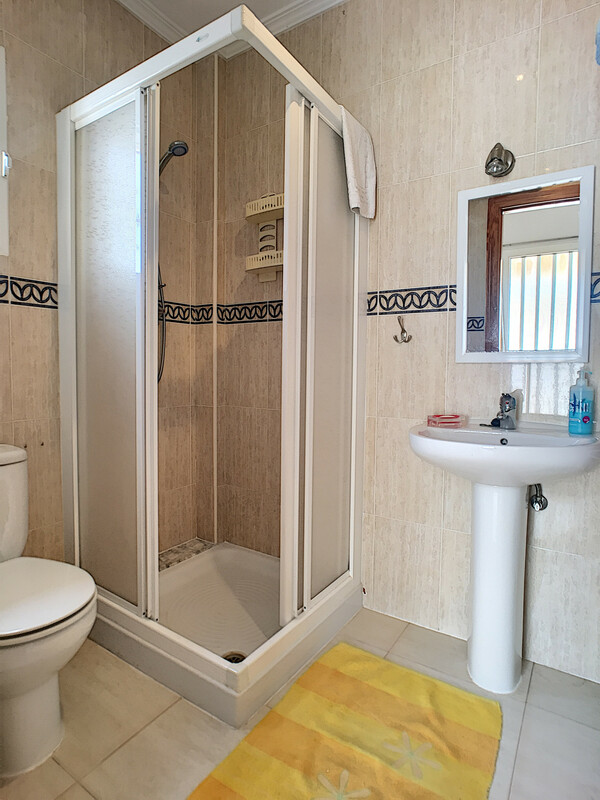 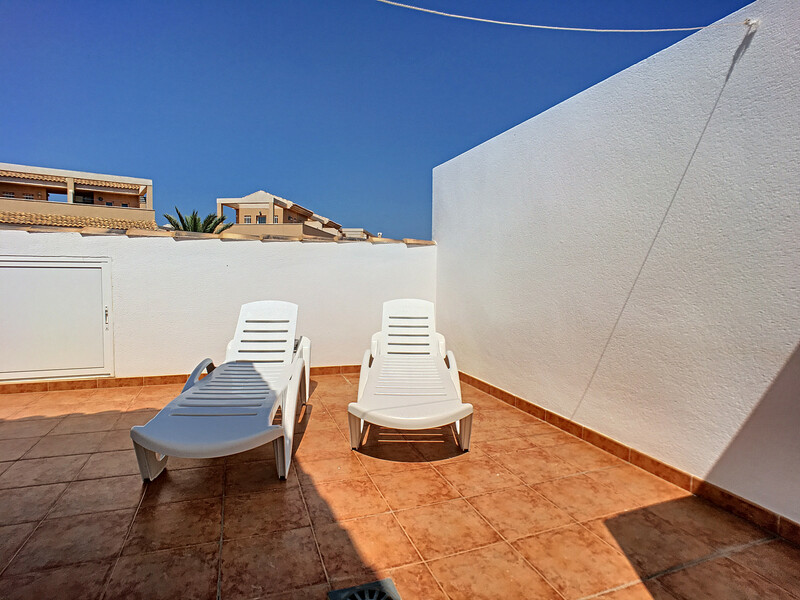 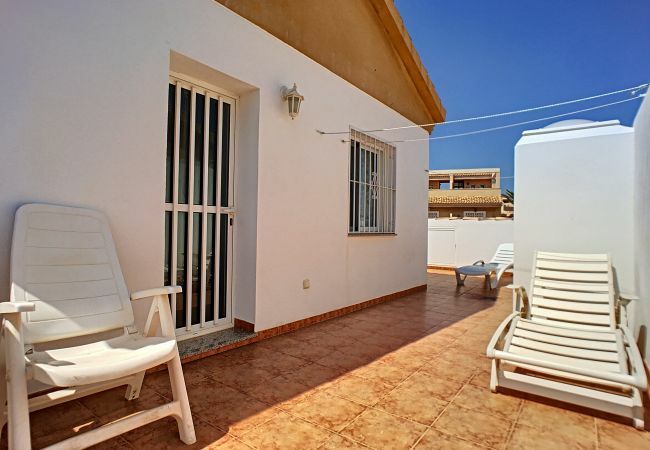 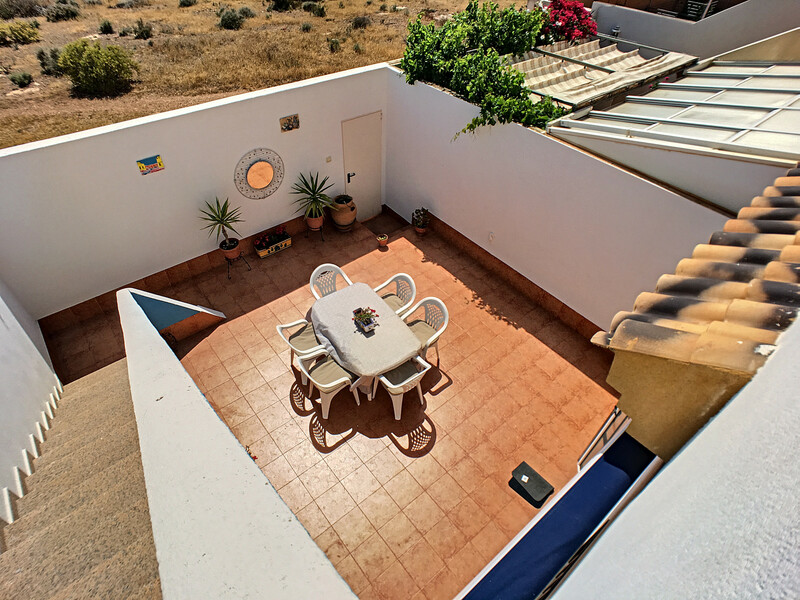 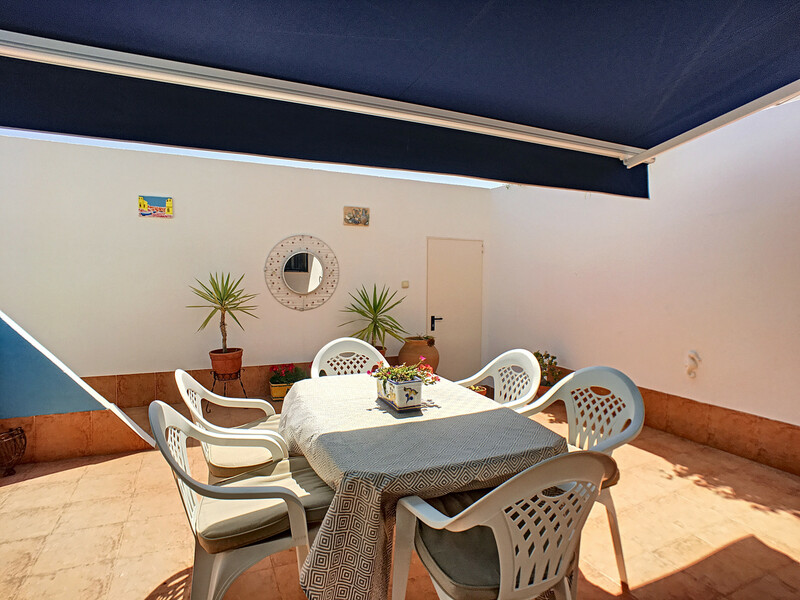 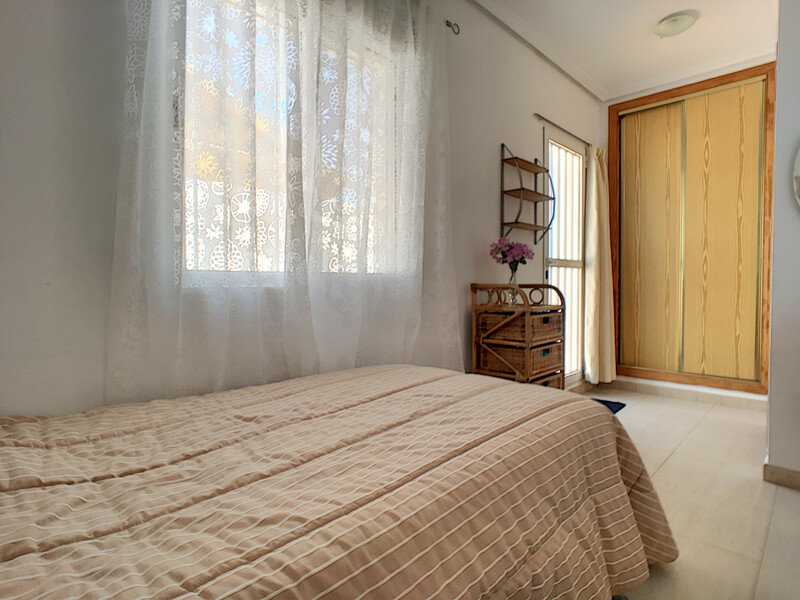 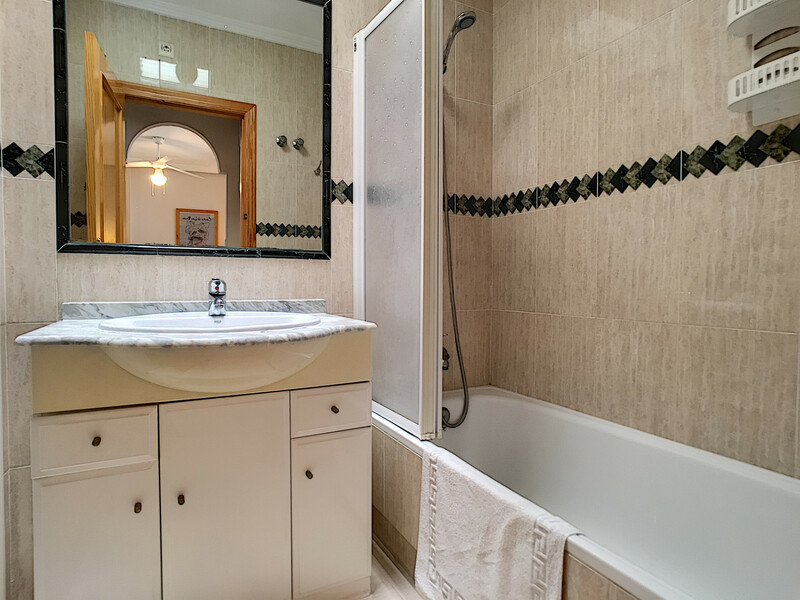 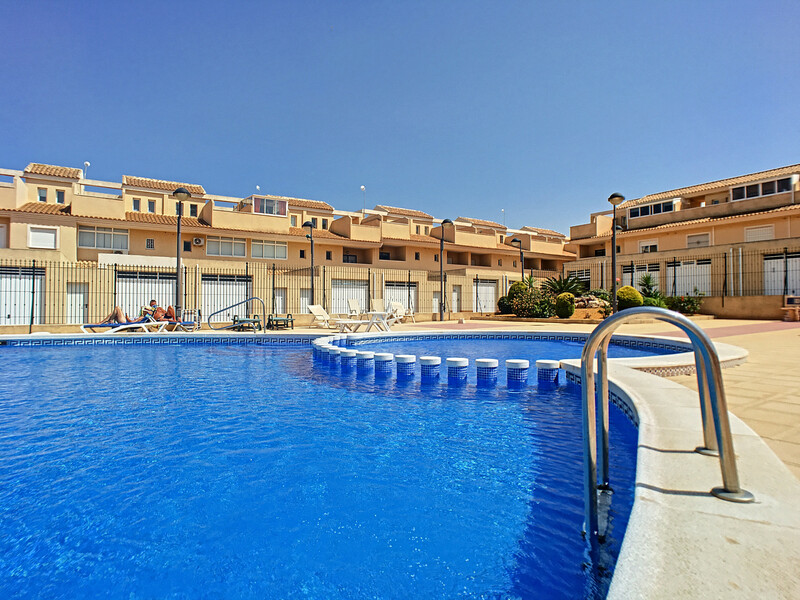 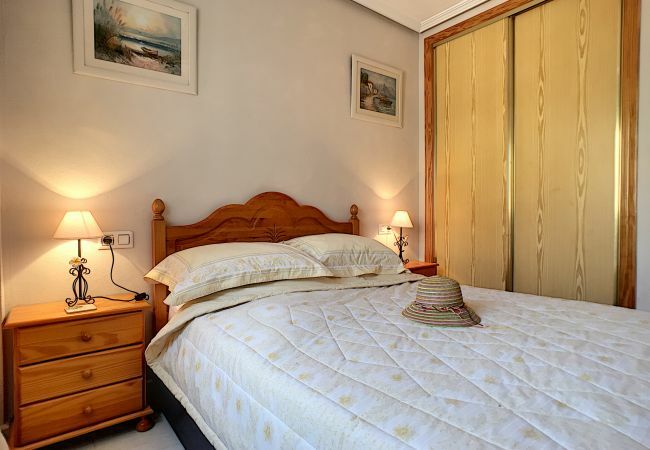 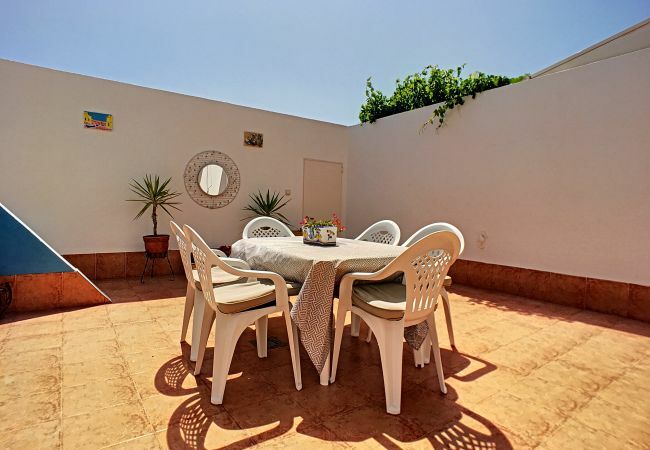 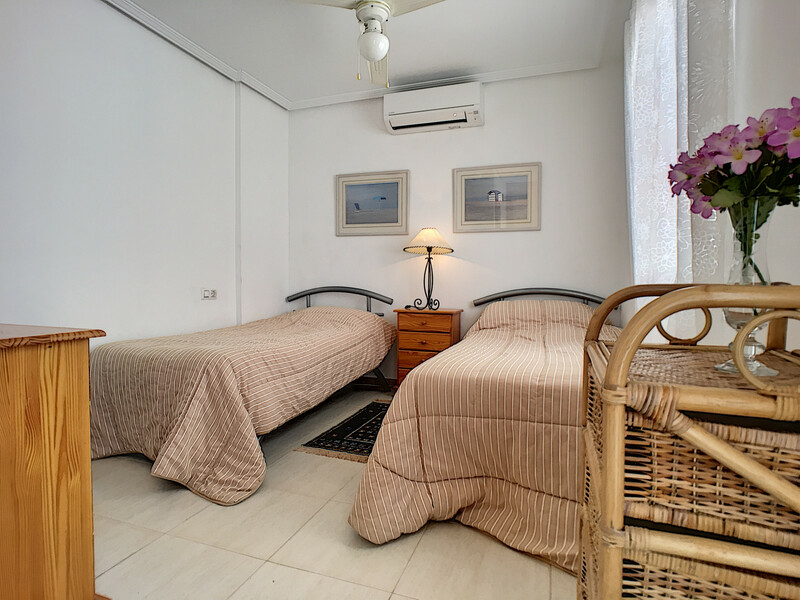 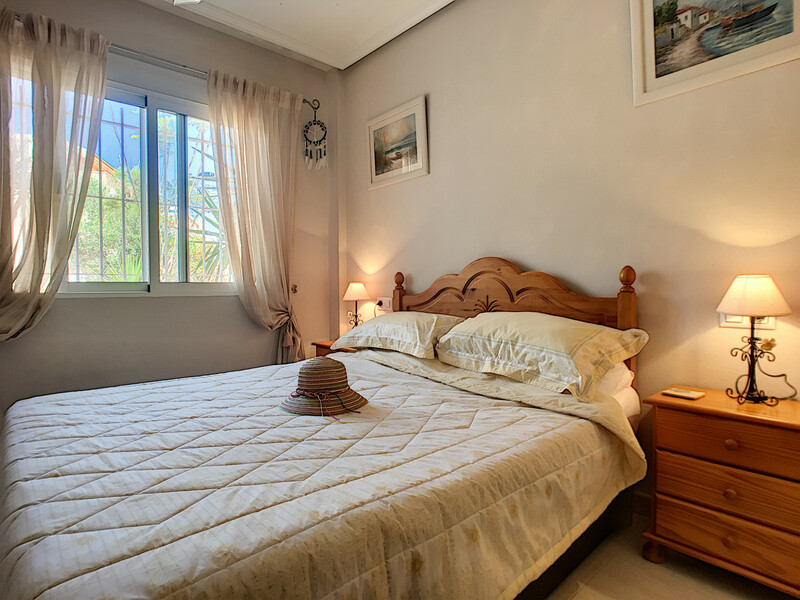 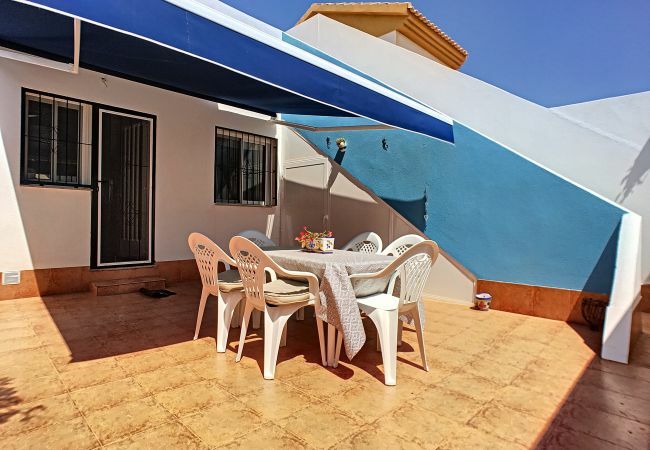 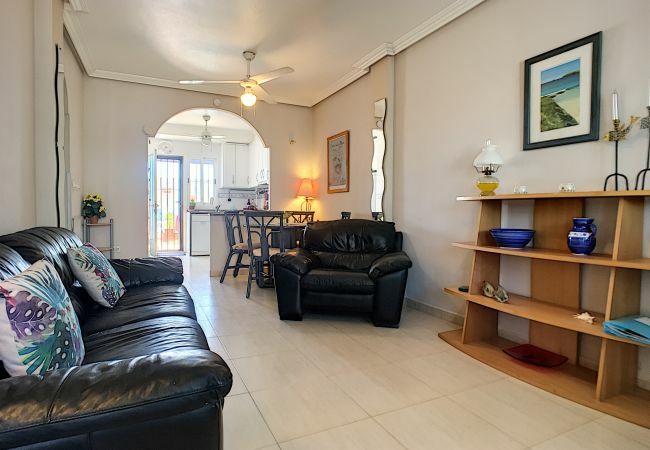 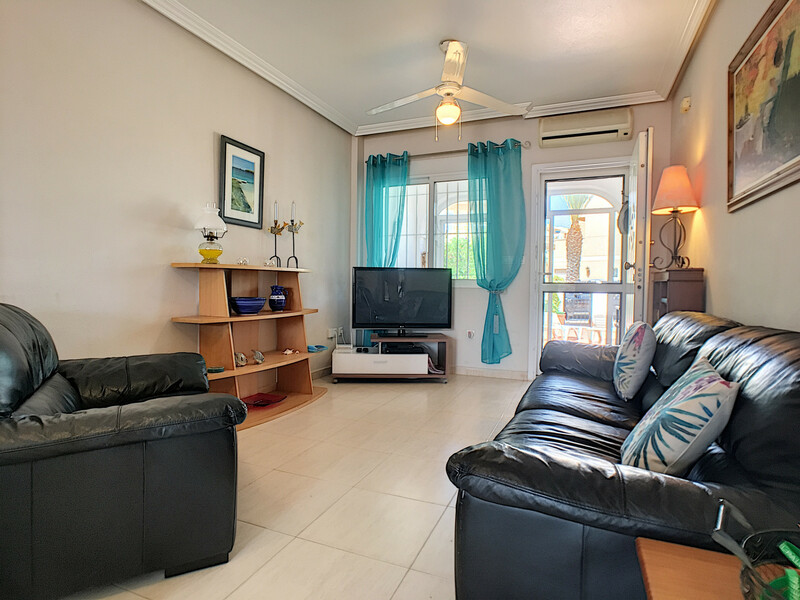 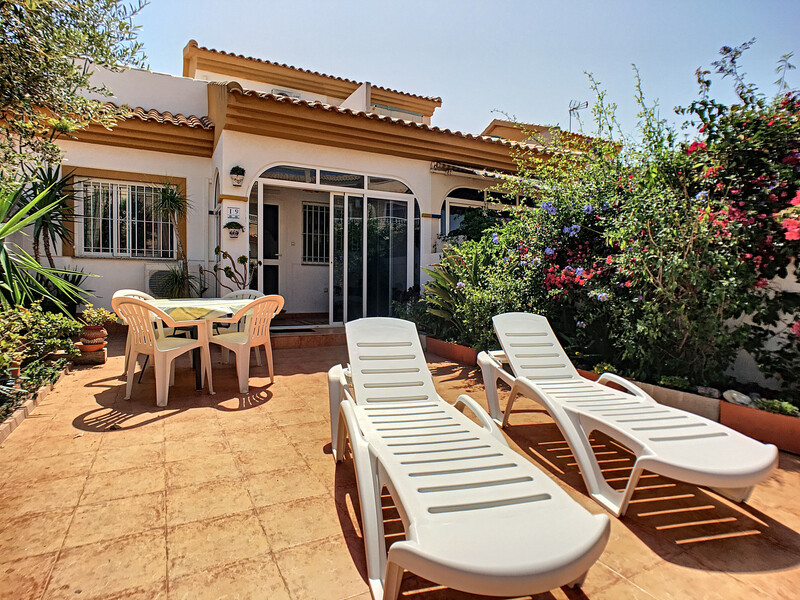 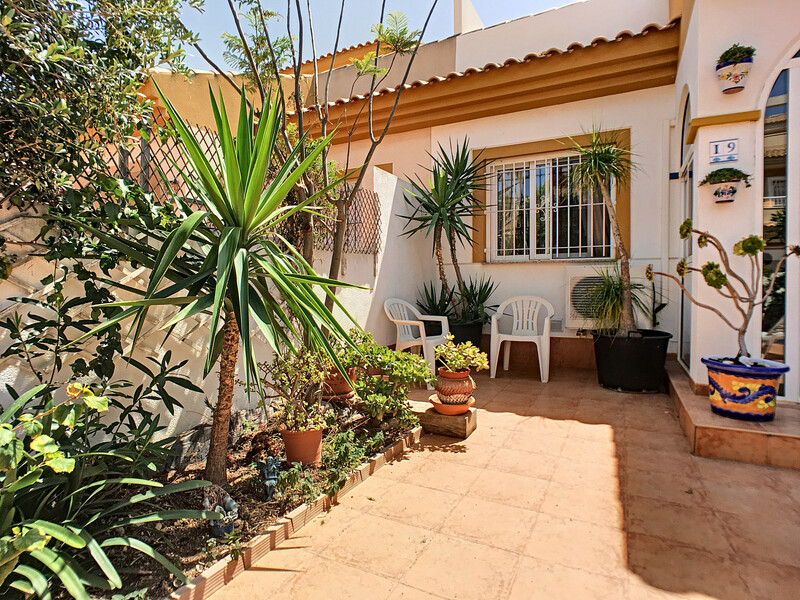 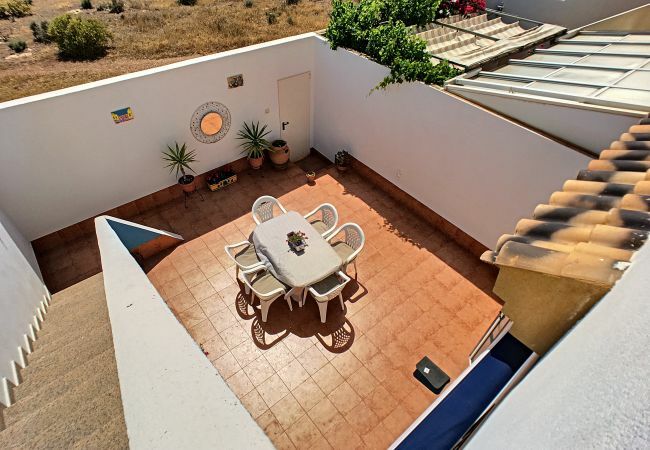 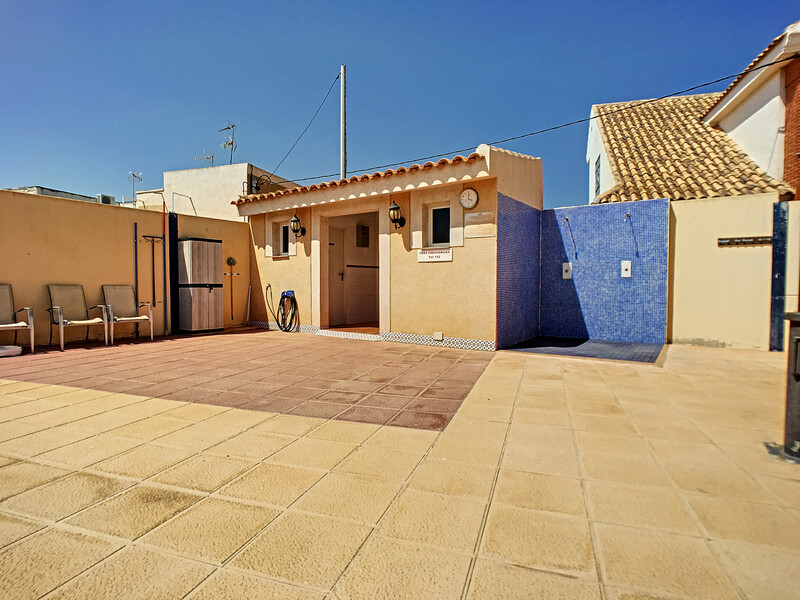 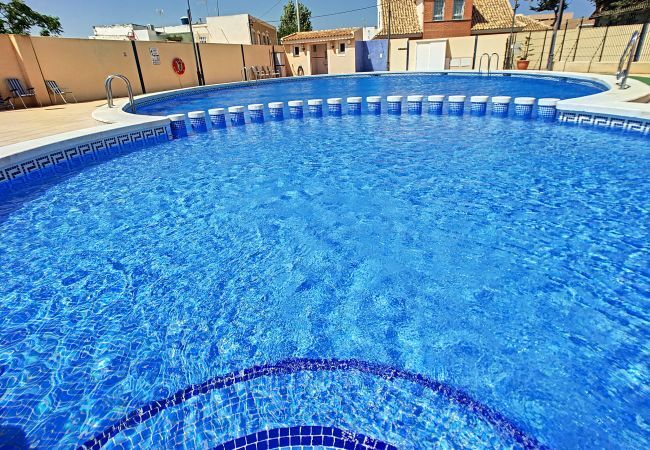 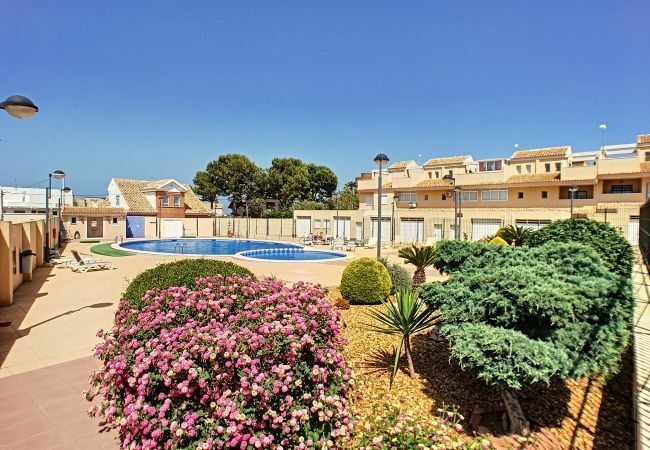 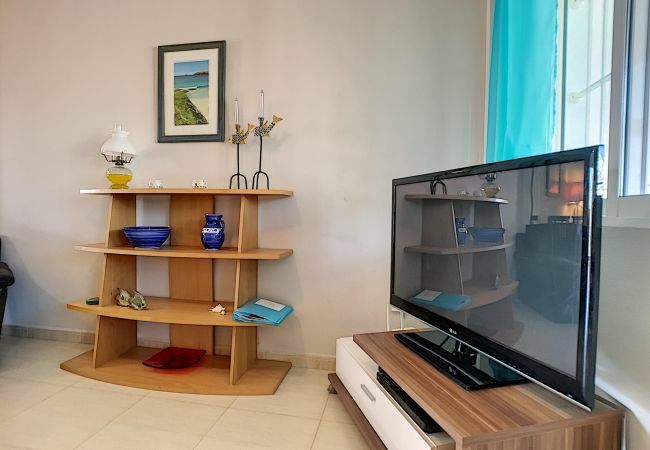 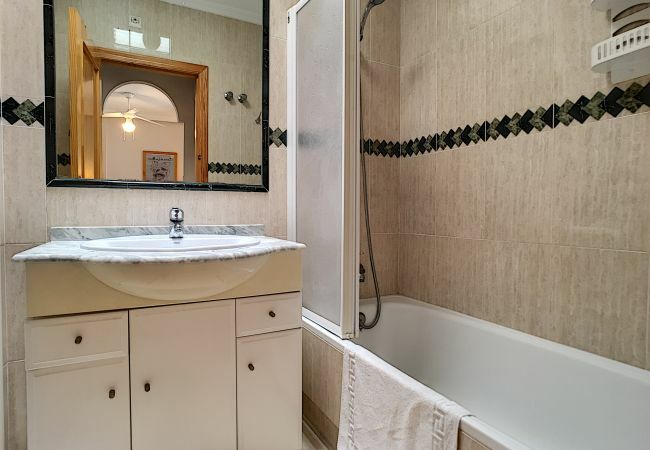 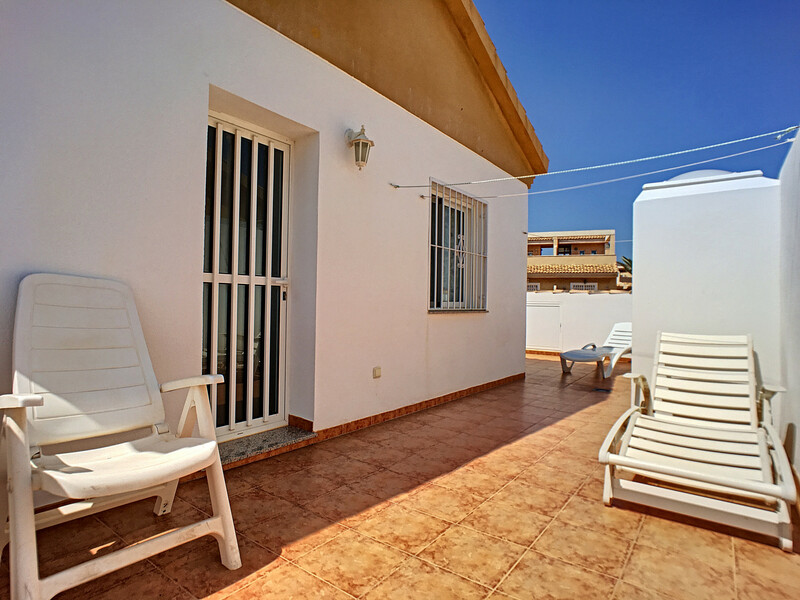 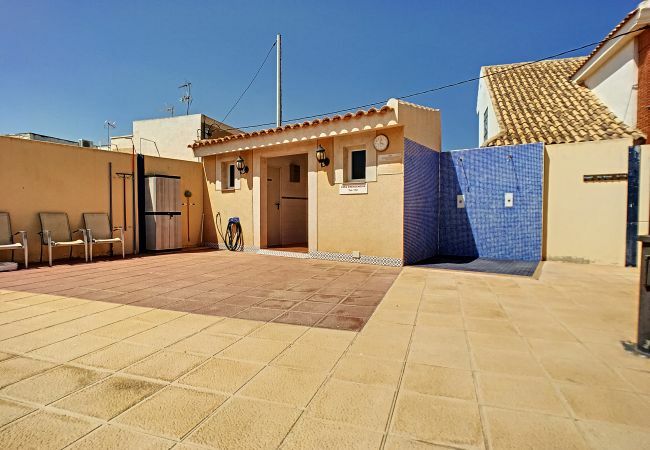 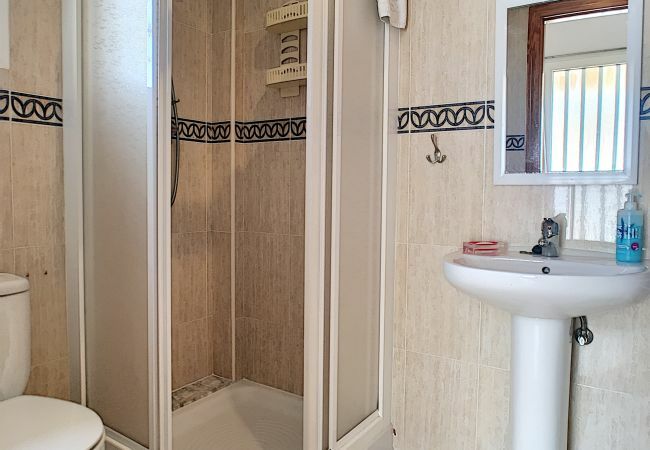 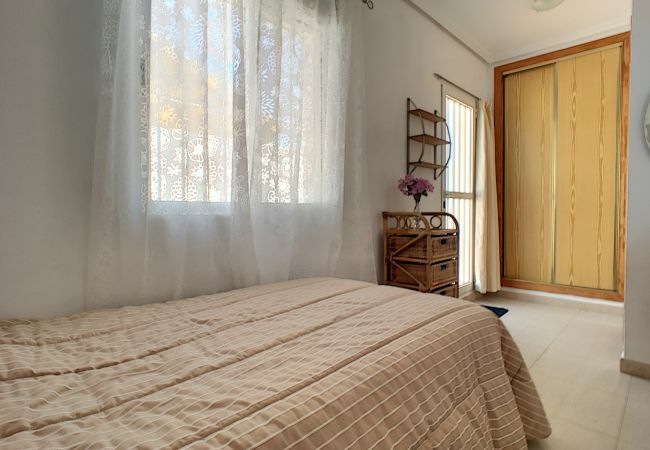 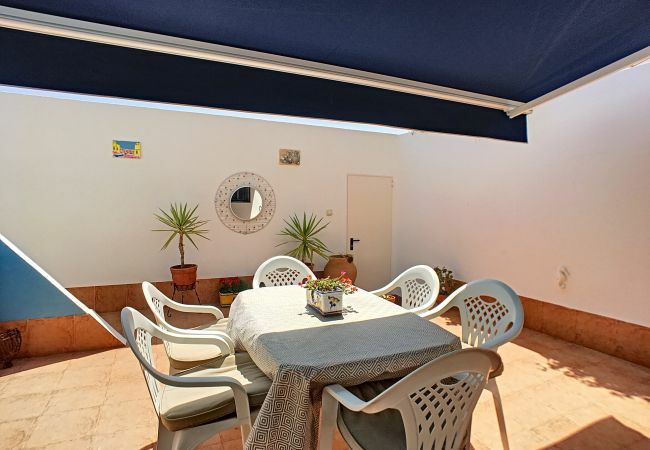 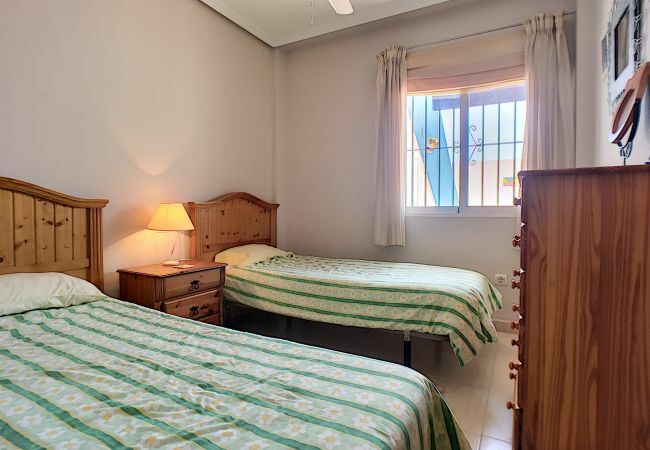 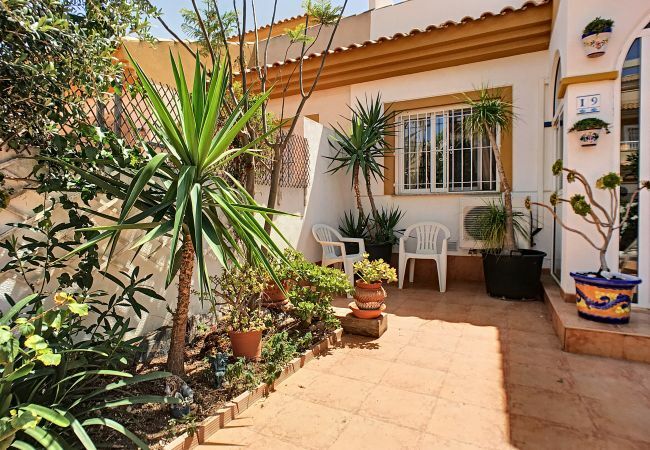 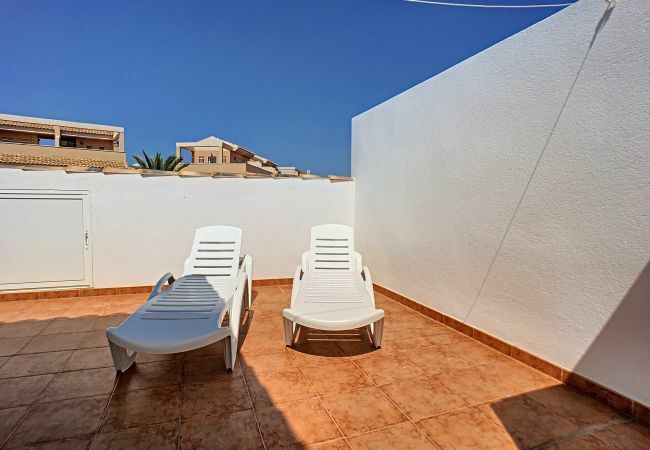 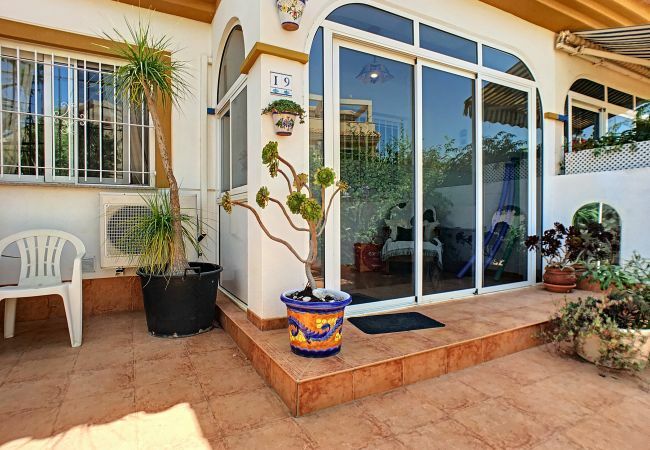 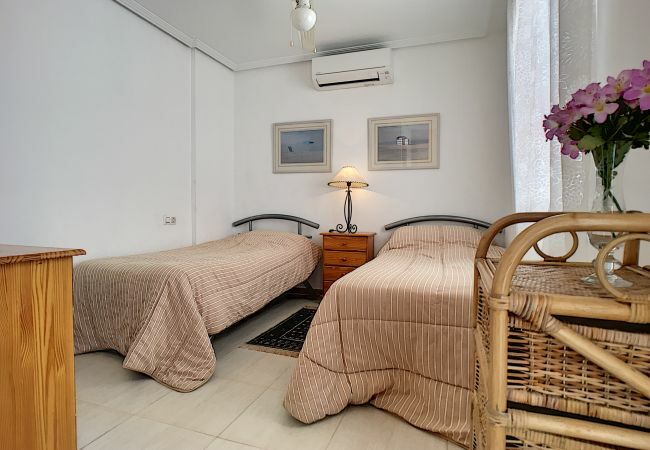 This 3 bedroom house sleeping 6 people is located in the Spanish beach village of Los Nietos, it has 3 bedroom over 2 floors, there are 3 terraces one at the front another at the back and the roof terrace. 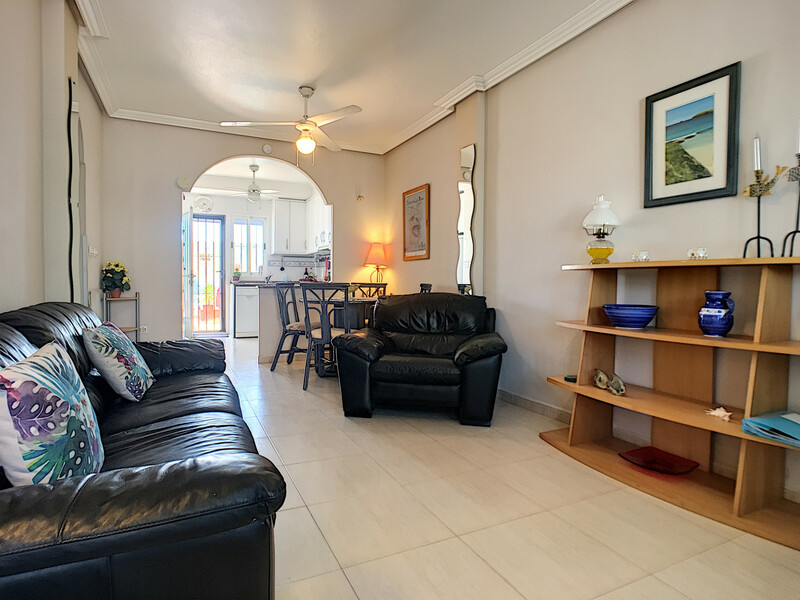 The lounge and kitchen are open plan and has TV with satellite channels, dining area as well as the fully equipped kitchen. 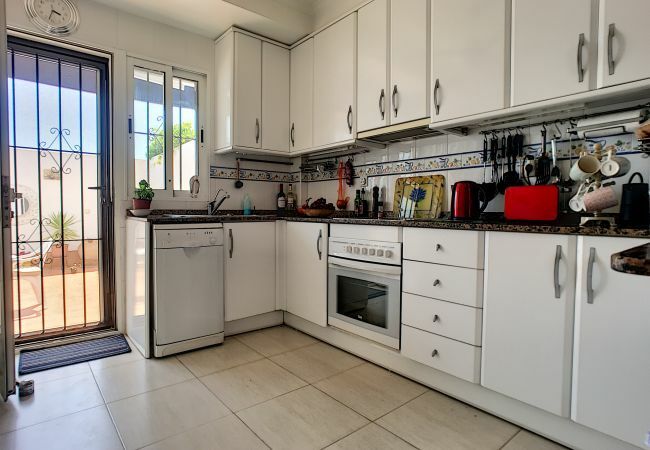 Los Nietos has some small supermarkets, bars, restaurants, bakers for fresh bread and a train station with regular timetables to La Union and Cartagena. 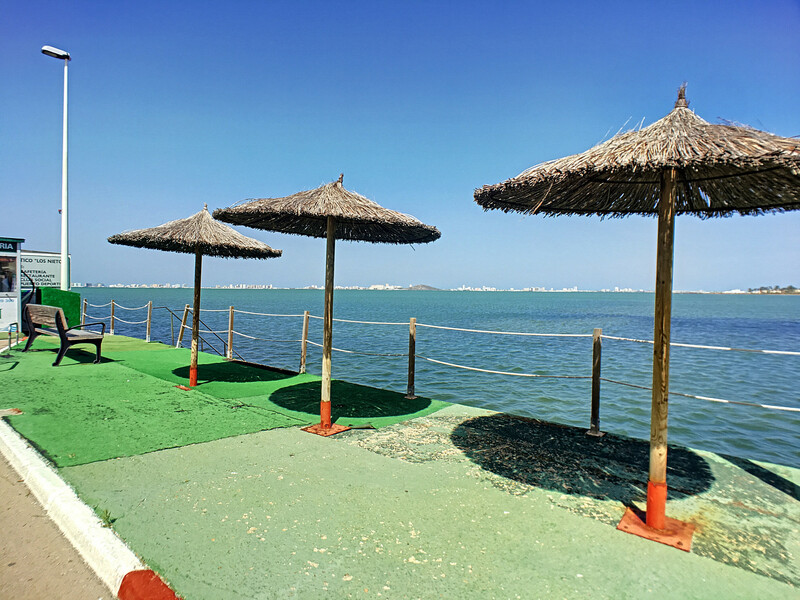 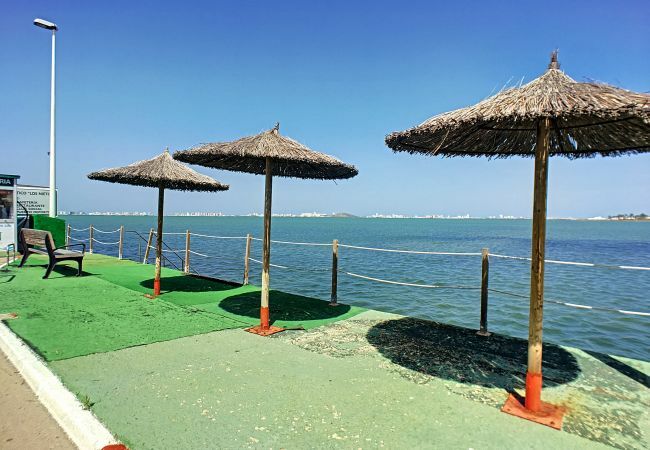 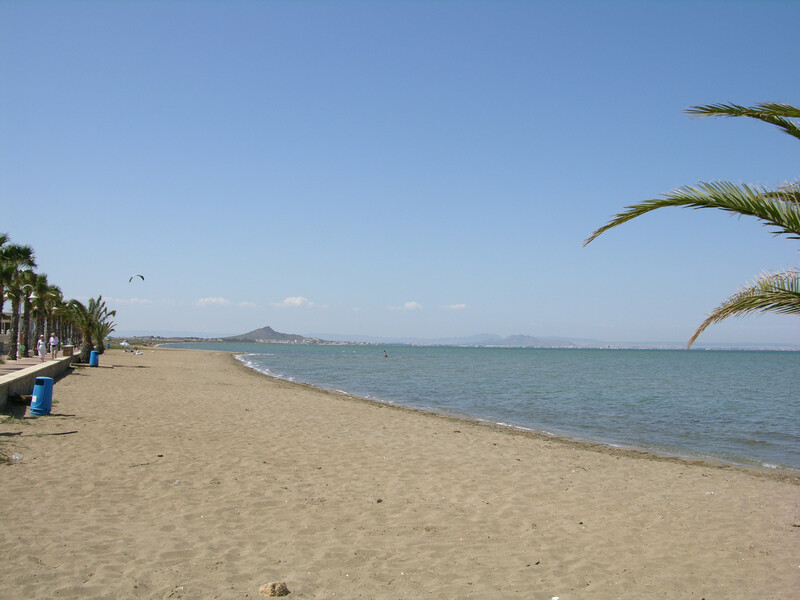 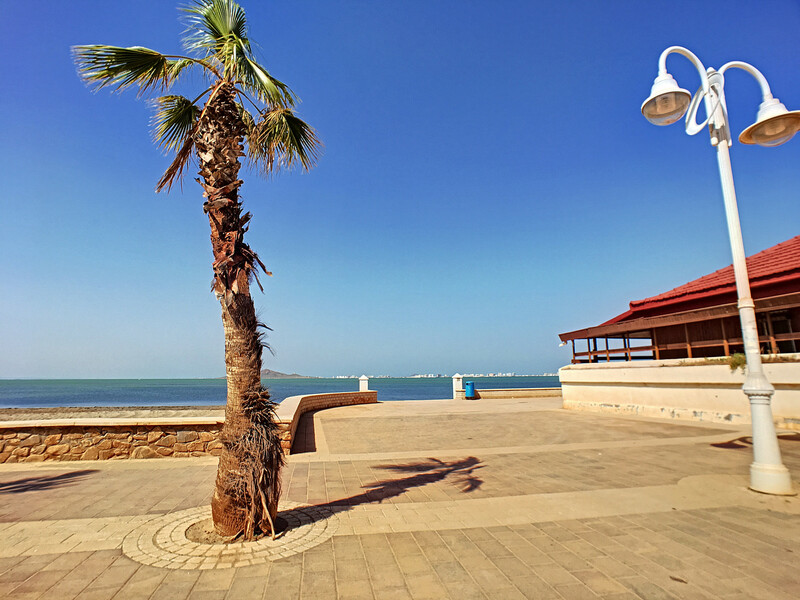 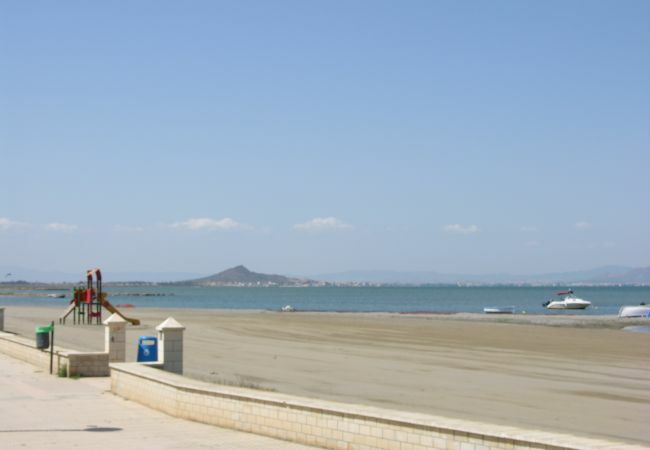 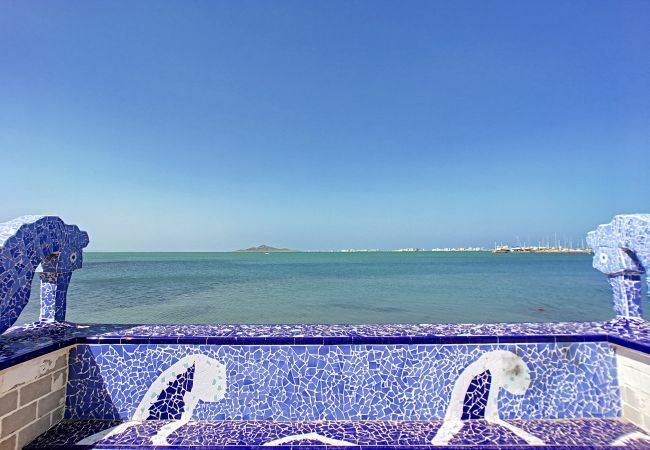 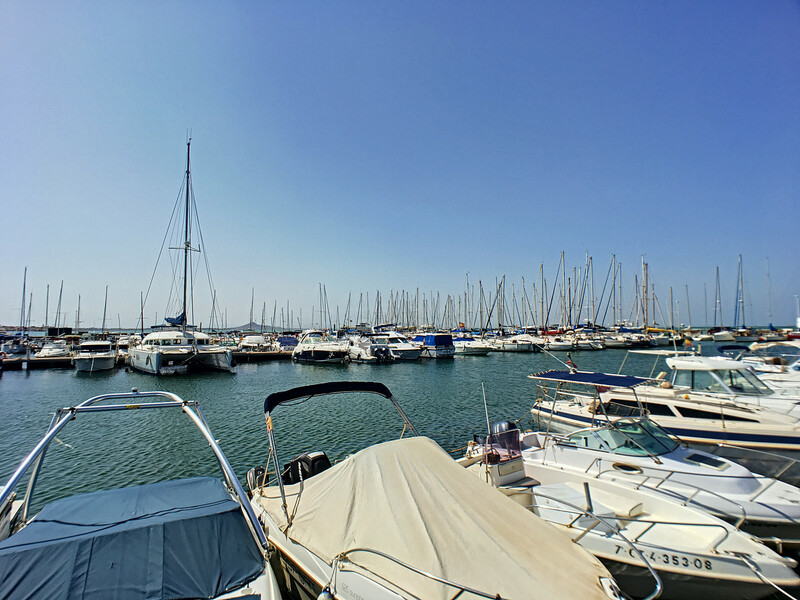 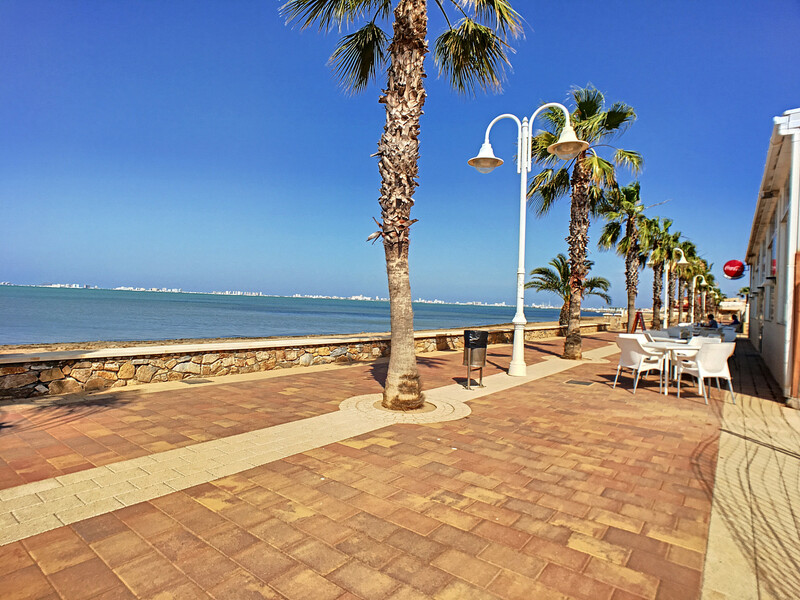 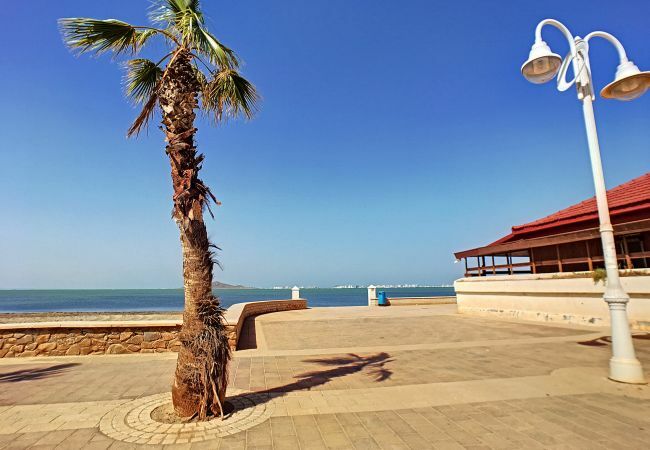 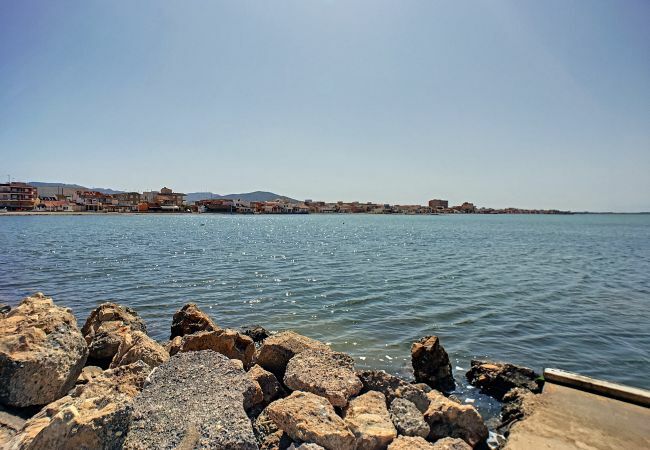 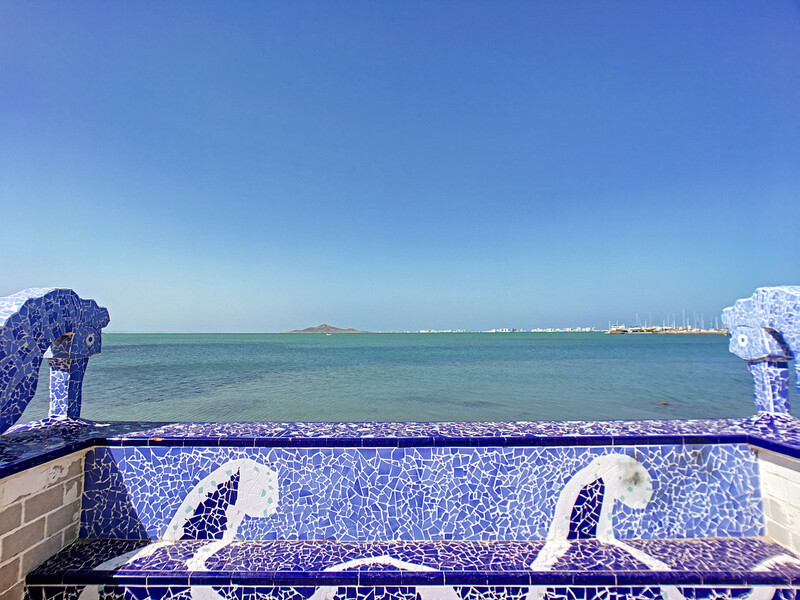 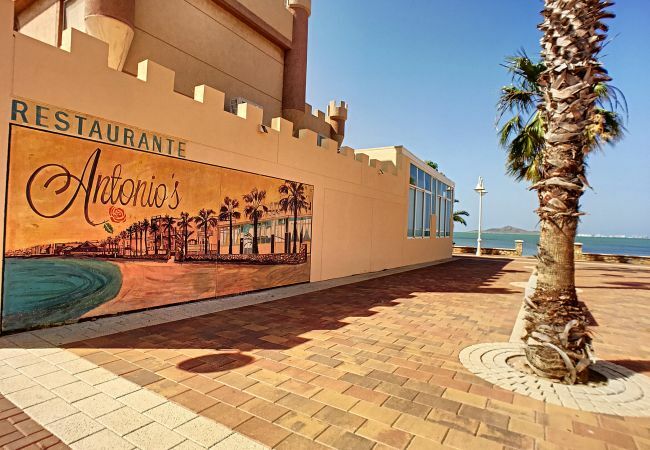 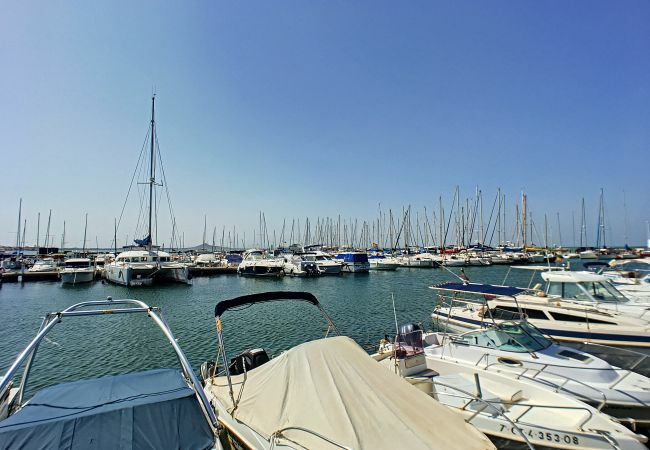 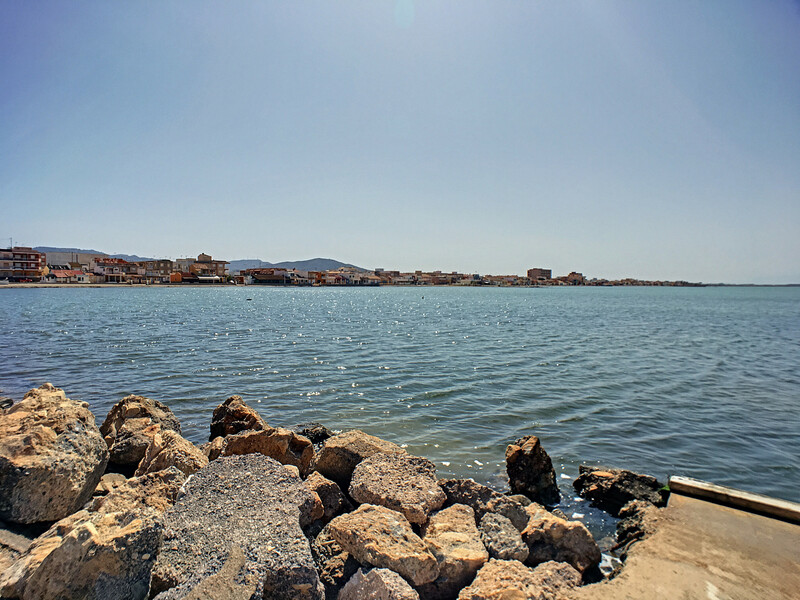 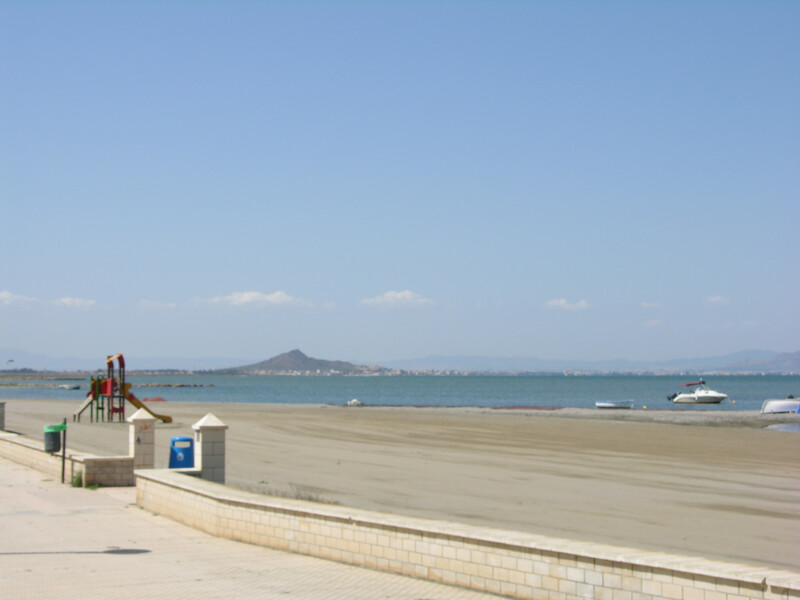 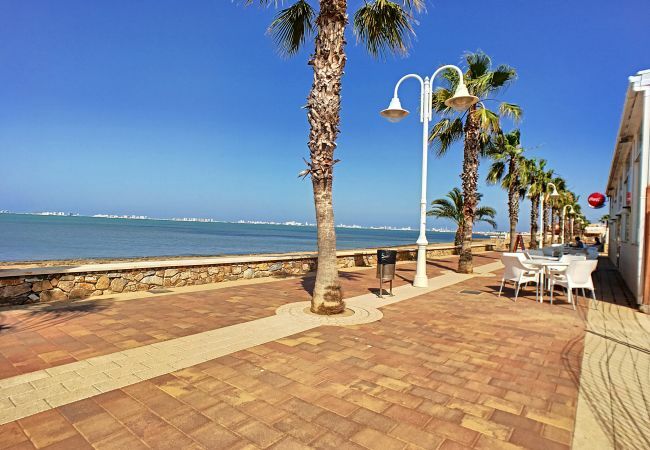 It has the great beaches of the Mar Menor which has warm, shallow waters which are fantastic for families and perfect for many water sports. 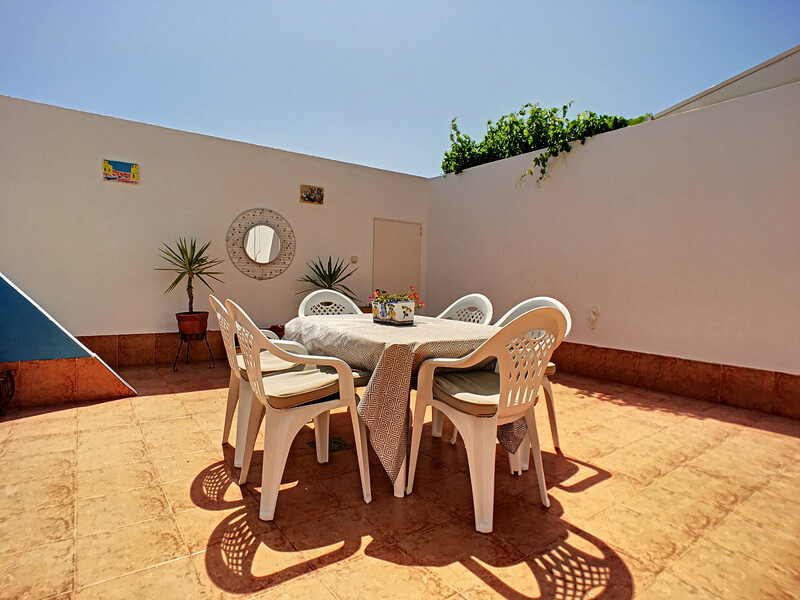 There is a local market every Sunday just outside the train station in the centre of the village. 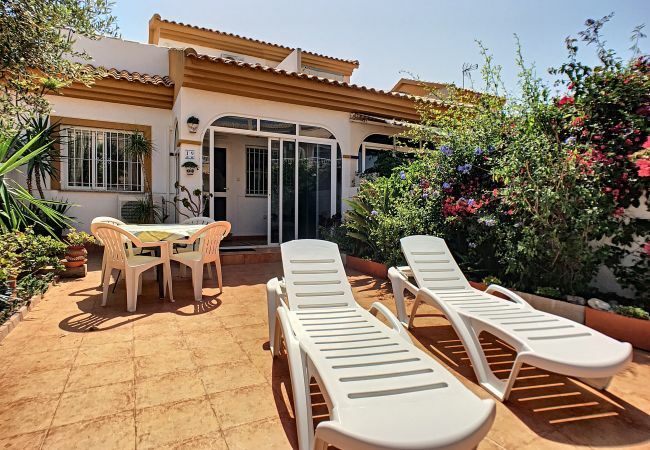 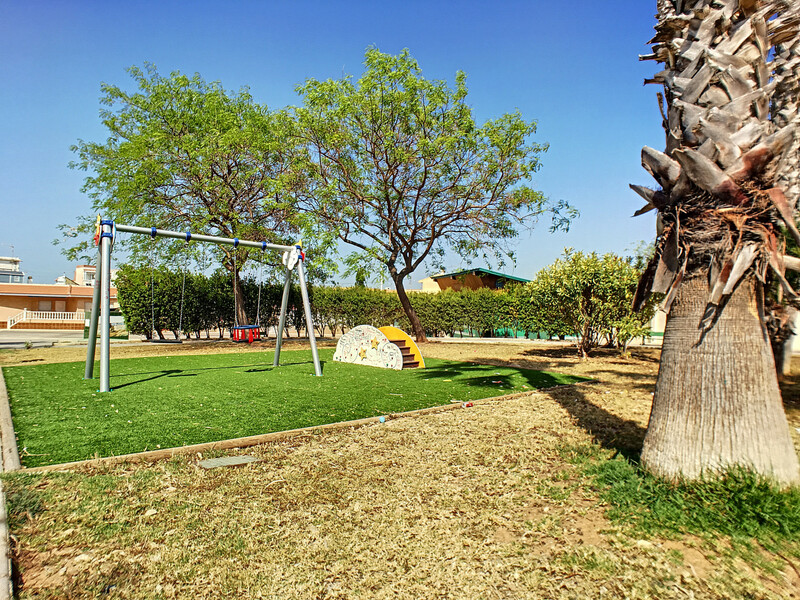 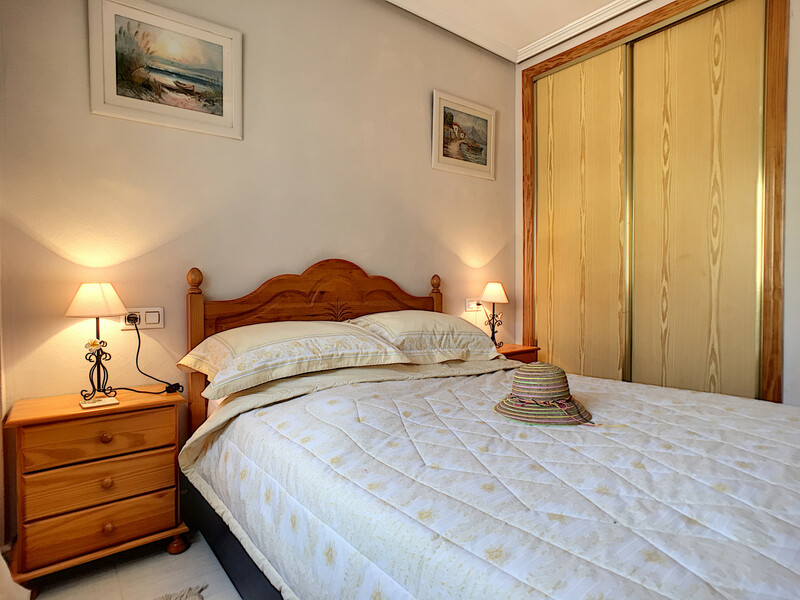 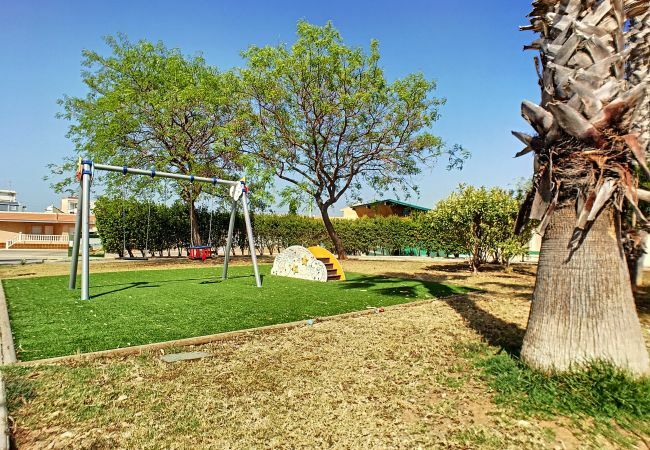 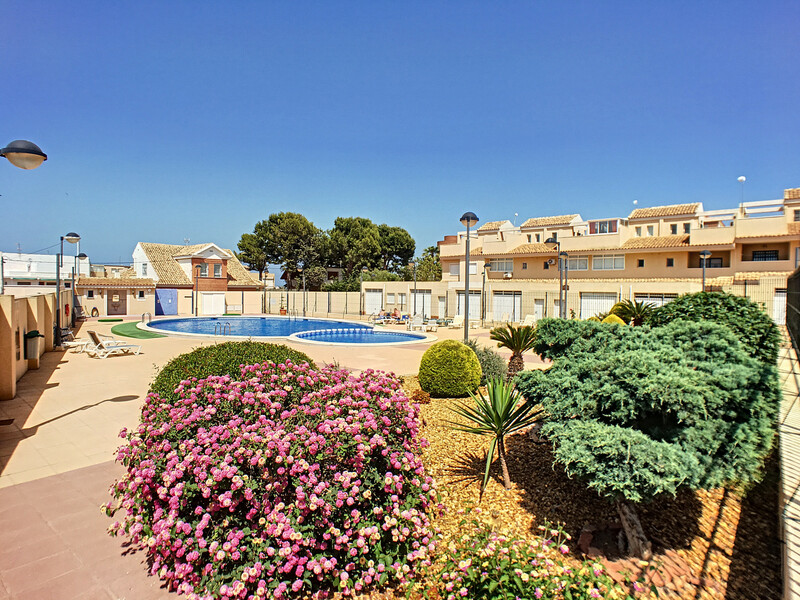 A short drive will take you to the famous La Manga Club which has 3 championship golf courses and many other sports including tennis and green bowls. 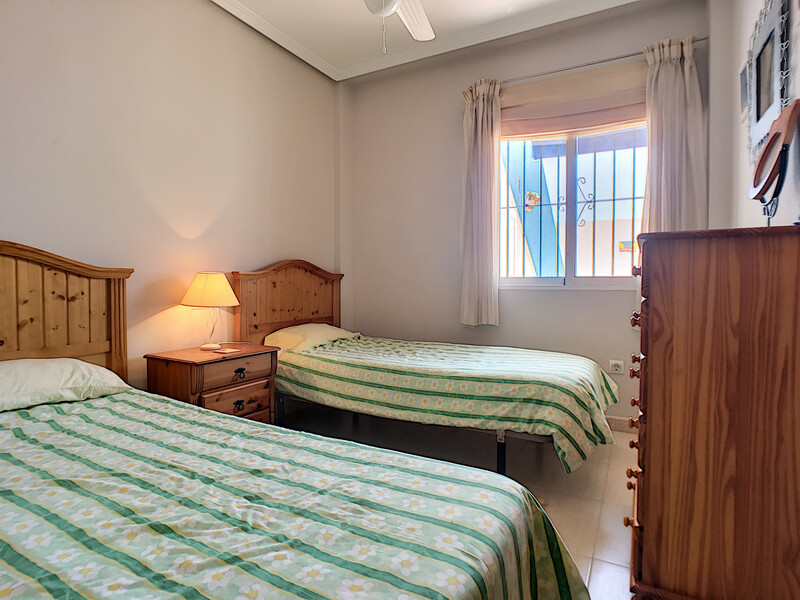 The accommodation is equipped with the following items: garden, garden furniture, 50 m² terrace, iron, internet (Wi-Fi), hair dryer, balcony, electric heating, air conditioning in the living room and upstairs bedroom, communal+children's swimming pool, open-air parking in the adjoining building, 6 fans, TV, satellite (Languages: Spanish, English), stereo, DVD. 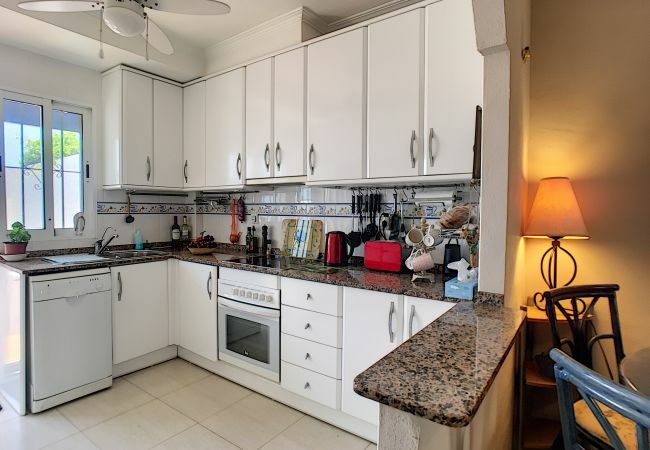 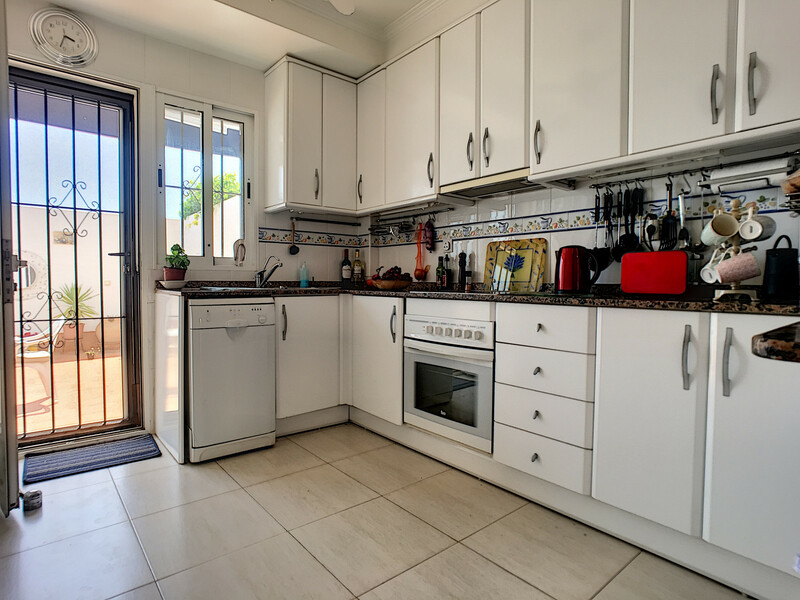 In the open plan kitchen, refrigerator, microwave, oven, hob, freezer, washing machine, dishwasher, dishes/cutlery, kitchen utensils, coffee machine, toaster and kettle. 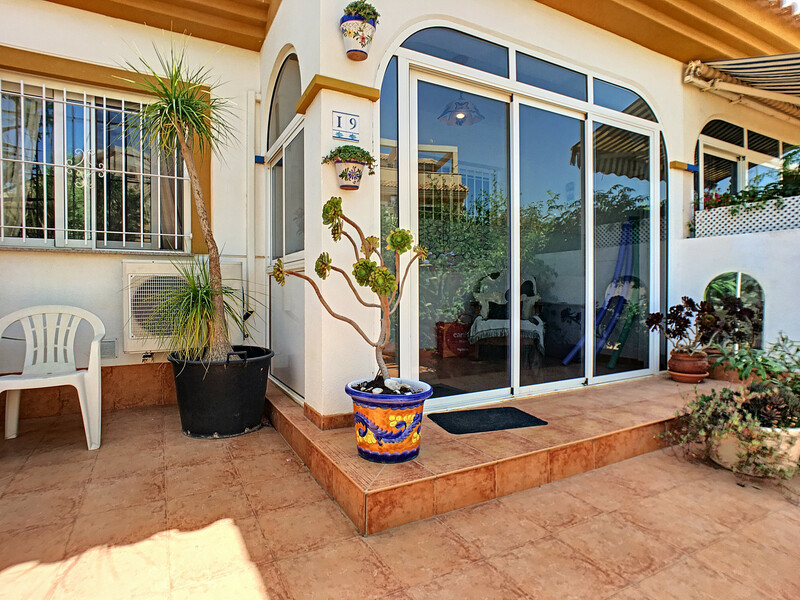 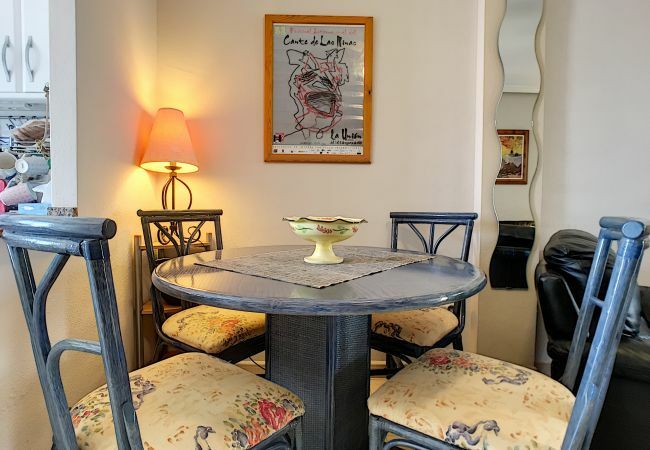 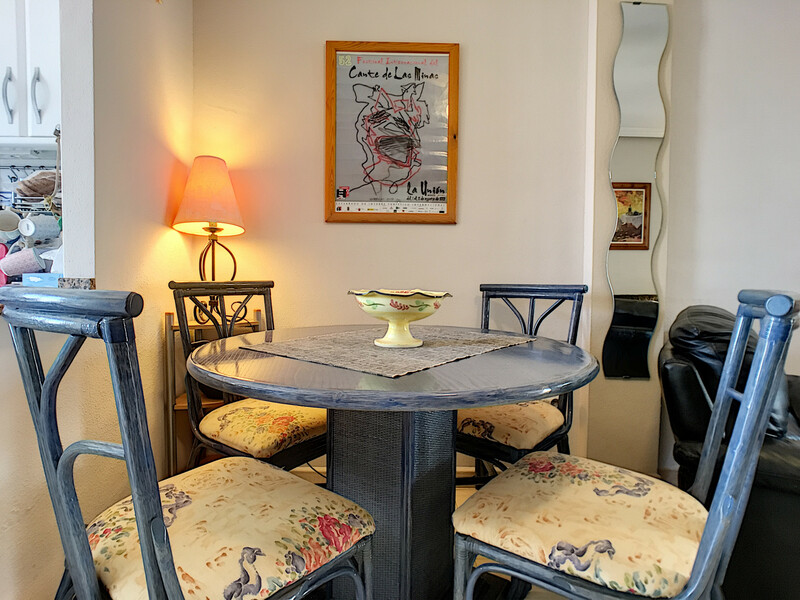 - TV, TV Satellite (Languages: Spanish, English), Stereo, DVD, garden, garden furniture, 50 m² terrace, iron, internet (Wi-Fi), hair dryer, balcony, 80 m² property, admitted animals with weight up to 282 oz (Dangerous breed dogs not allowed), electric heating, air conditioning in the living room and in some bedrooms, communal+children's swimming pool ( max depth 6.6 ft, opening date 1/4, closing date 31/10), Open-air parking in the adjoining building, 6 fans.